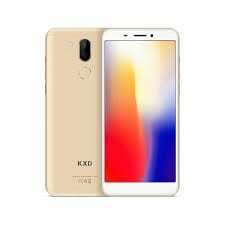 KenXinDa is more like a budget smartphone focused OEM in a similar way as Wiko or some other small-scale Chinese smartphone maker. 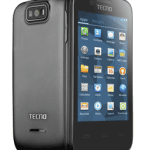 The KenXinDa T55 (KXD T55) does have its perks in the sense that it is really affordable for the low spenders. 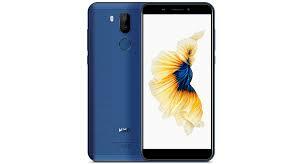 It also has a design consistent with those of an entry-level smartphone and so is the specs that you will find on the phone. The KenXinDa T55 could is a decent smartphone but nothing more than that as far as this it is concerned. The KenXinDa T55 has a typical low budget build with no obvious effort to make this look stylish or mimic high-end smartphones. Over to the rear side which is made of plastic that can be fetached to reveal battery that is also removable. You have a dual camera in the middle with a flash beside it and a fingerprint scanner to the bottom. It can be bought in red, black, blue or gold finish colours. No surprises in the display department as you have a low-resolution display with 90° edges and just about the usual bezels in play. Going by the competition, there is really not much of a difference with the 5.5-inch screen here. Regarding the resolution, the smartphone goes for a more traditional 960 x 480 pixels resolution. A glance at the spec sheet kind of reveals the smartphone is no way the power hungry type as it is with more premium smartphones. Definitely not with fast charge, it comes with the arbitrary MicroUSB port. Nonetheless, you should have no problem charging up the 2, 500mAh battery inside. About the cameras on the phone, the KenXinDa T55 has a dual camera which is more of a guise than about being a better camera. Sporting a 2MP front camera, this is not really a smartphone you’d love to use for taking selfies. The rear has an 8MP camera and another 2MP sensor lined up for taking pictures and videos. Taking a look at the innards here, it is quite clear on where it stands performance-wise. From the four core Spreadtrum SC9832E CPU to the Mali-400 MP2 GPU. You also get 2GB RAM and 16GB storage space built-in while supporting expansion to 128GB using an SD card. In segue, the smartphone has Android 7.0 Nougat on it from the get-go. All of this reveals it is a smartphone with not much power so don’t go overworking it. 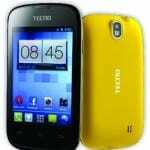 The pricing of the smartphone is not really clear at the moment but should cost a bit around 30, 000 Naira.